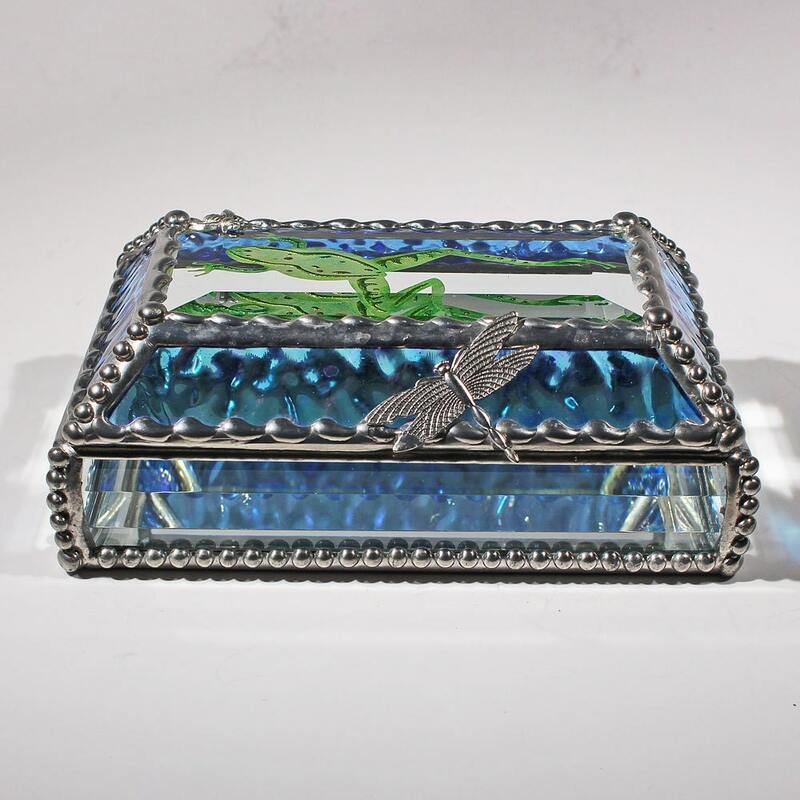 The stained glass in this box is a turquoise textured and iridized glass. 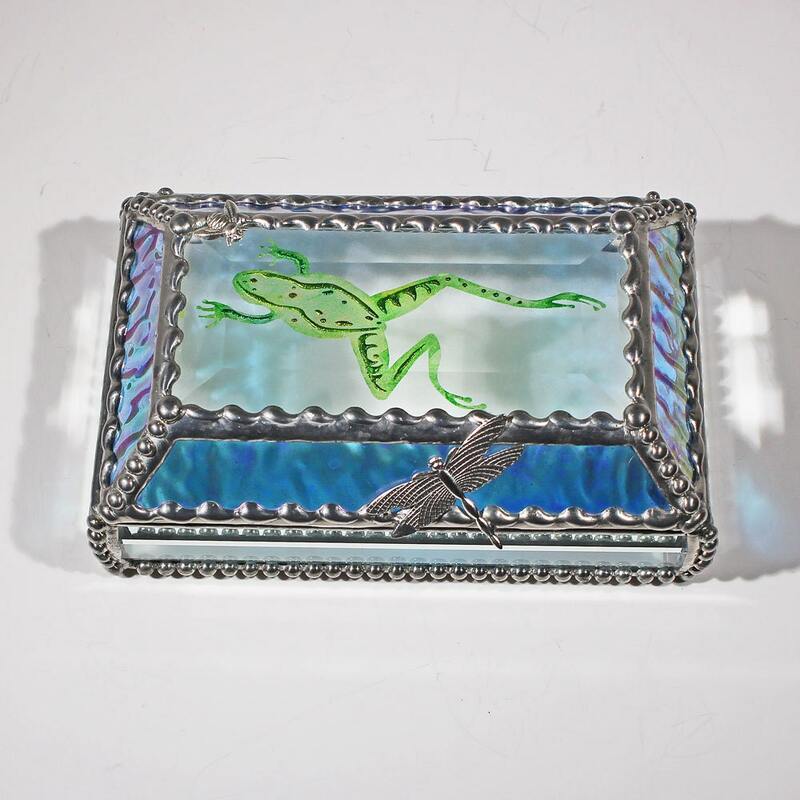 The Frog is carved into the glass and then painted with a shimmering paint. Hand made and signed by the artist. 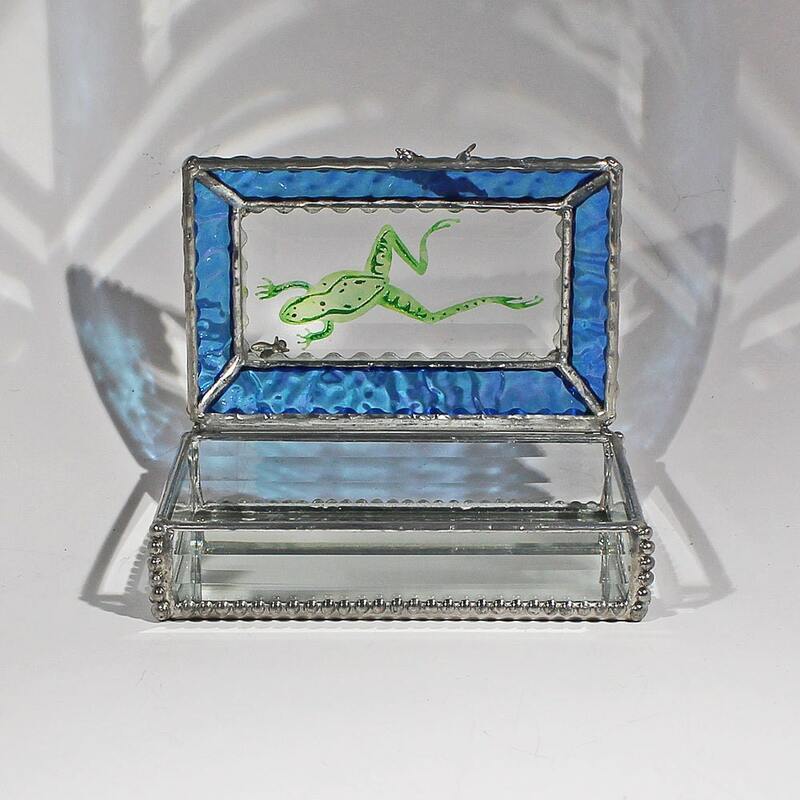 A completely unique gift that lasts a lifetime. Size 3" x 5" x 2".